All Ryan, Harley and Miles had in common was Isaac. They lived different lives, had different interests and kept different secrets. But they shared the same best friend. They were sidekicks. And now that Isaac's gone, what does that make them? 'Gutsy, ambitious, funny, sad and beautiful.' - Melina Marchetta, Printz Award-winning author of Looking for Alibrandi. Personally, Will Kostakis is ready to catch a ball two seconds after it's hit him in the face. Professionally, he's thankful he's chosen a career that requires little (if any) coordination. After dabbling in celebrity journalism and reality TV, he now writes for young adults. His first novel, Loathing Lola, was released when he was just nineteen, and his second, The First Third, won the 2014 Gold Inky Award. It was also shortlisted for the Children's Book Council of Australia Book of the Year and Prime Minister's Literary awards. 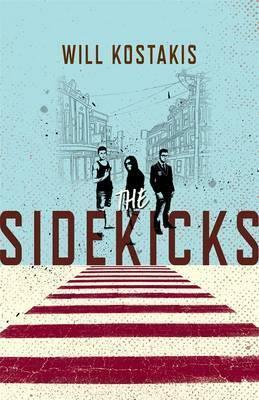 The Sidekicks is his third novel for young adults.